The reigning champions traveled to Dublin to face a Leinster side in quest of a historic Champions Cup/Pro14 double. In a rematch of the European semi-final, this was a similarly one-sided encounter. 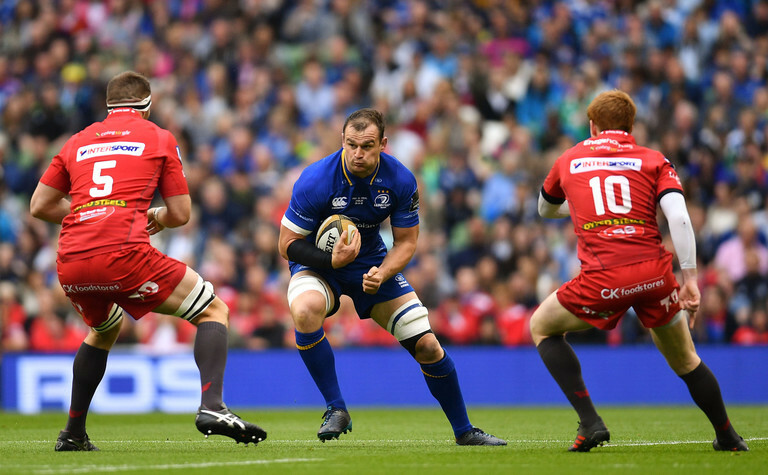 Leinster cruised through the gears to ultimately power past Scarlets and racked up a 40-32 victory. Scarlets to their credit did not give up and landed two late consulation tries. 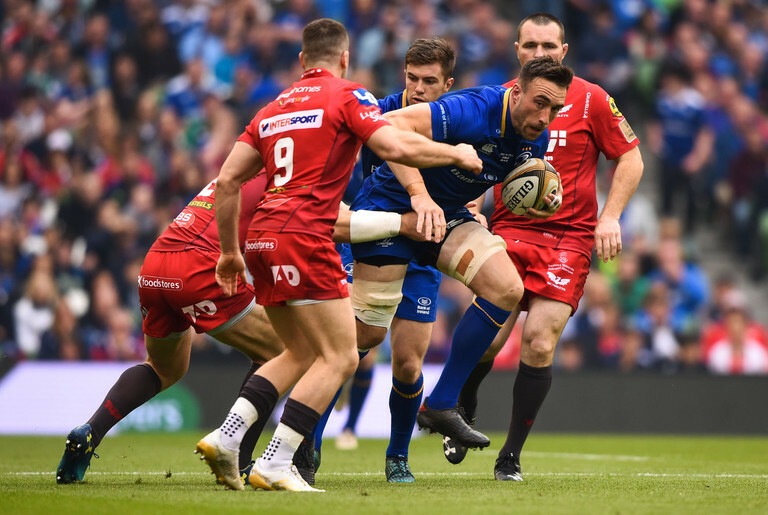 Overall, it was a performance that exhibited so much of what Leinster are about this year. Johnny Sexton gave a masterclass, the extraordinary youth of Leavy, Larmour and Carbery were excellent and the squad depth was reinforced by the substitutions impact. 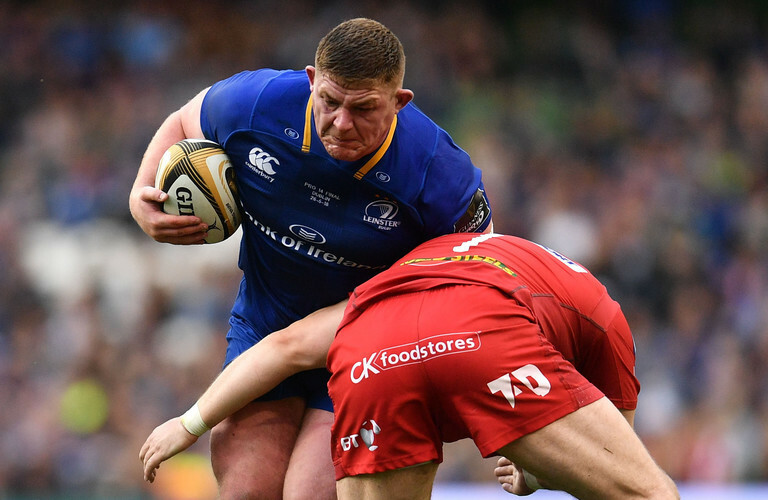 Leinster have the crown that reaffirms their tag as the kingpins of Europe and it is built on the bedrock of Irish talent currently at the national team's disposal. An outstanding catch over Halfpenny to set the platform for Leinster's first real attack of the day. Not given any huge opportunity to attack but defended well when tested in the first half. No fear from the 20-year-old who constantly endeavoured to get on ball, cutting off his wing to carry up the 10-12 channel on several occasions. It is clear Girvan Dempsey and Stuart Lancaster backed Larmour up against Steff Evans and orchestrated as many situations as possible to get them one-on-one. Try was the perfect combination of intelligence and ability as he kicked infield, tore ahead of the tired Scarlets pack and touched down. A hugely promising prospect. Caught flatfooted by Williams. Missed the most tackles of any Leinster player but won't be too bitterly disappointed as the game was well over by the time they had any impact on the scoreboard. 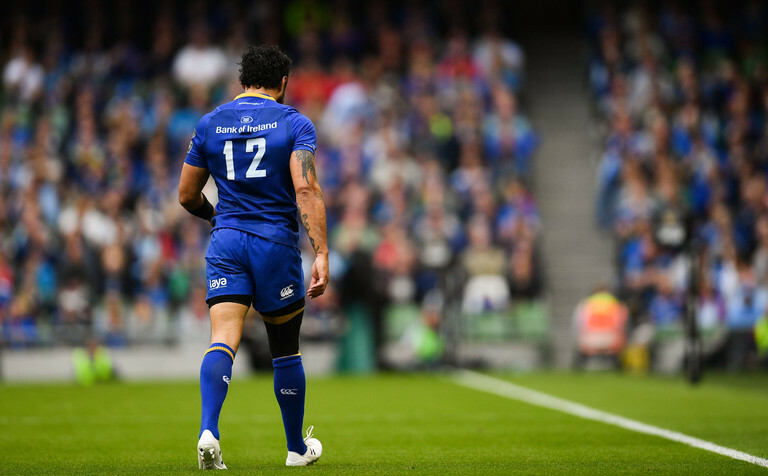 185 appearances in blue ended in sadness as the Leinster legend was forced off after 20 minutes. Replaced by Rory O'Loughlin. Still signs off with a Pro14 and Champions Cup medal. A peach of a kick into the corner to settle things while Sexton was getting treatment. Finished a well-worked team try in the corner. Deserved the score having missed out on the squad for last month's final. Settled things with an early penalty. Followed up with two others, including a mishit but they all count. Received treatment midway through the first half but picked himself up to carry well and gain yards for Devin Toner's try. Excellent crossfield kick for Lowe that set up a last-minute penalty before the break, then orchestrated a drive and set his winger free in the corner. Added a wicked conversion for good measure. Hit high again in the second half but that didn't stop the masterclass. Looked to exploit Steff Evans with an early well-placed kick, assuming some of the strategic responsibility from Sexton. Covered the backfield well and injected tempo when needed. Perfect end to a superb season. 100% in the scrum for Leinster today. 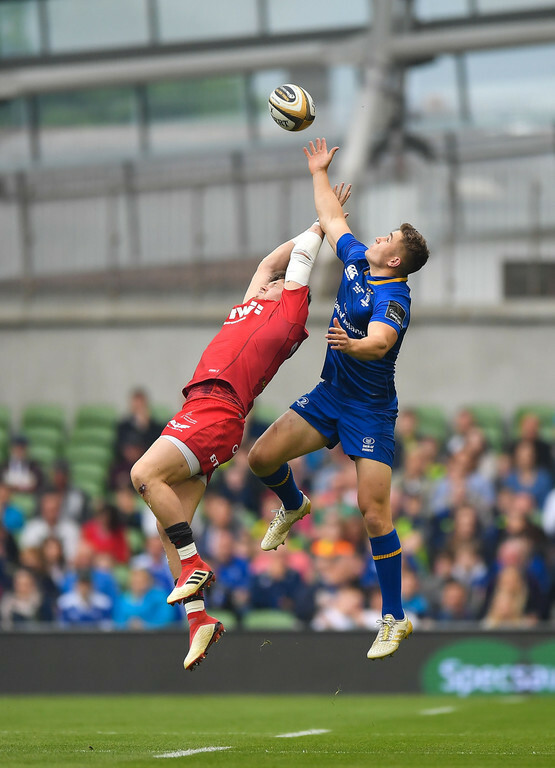 Credit has been forthcoming for several Leinster coaches this year but there is no doubt John Fogarty has done a remarkable job with the outfit in the set-piece. Got exposed in a drift defense and burned on the outside which ultimately led to Scarlets opening try. The now regular outbursts of explosive pace were on full show for his try. Line-out throw was perfect. If anything, the 32-year-old has improved this year and can be assured of a position in Joe Schmidt's thoughts. 17 metres made. Offloads like a winger, carries like a back row and still a superb unit in the scrum. Took his try well and no more than Leinster deserved after a period of sustained pressure. Not a huge contribution outside of that with one tackle and two turnovers conceded. The most tackles of any Leinster forward and becoming a real athlete in the line-out. Yet to lose a professional game of rugby, phenomenal. A quiet afternoon without doing anything wrong. Four metres made but must be taken in context of his persistent role as first up ball-carrier. 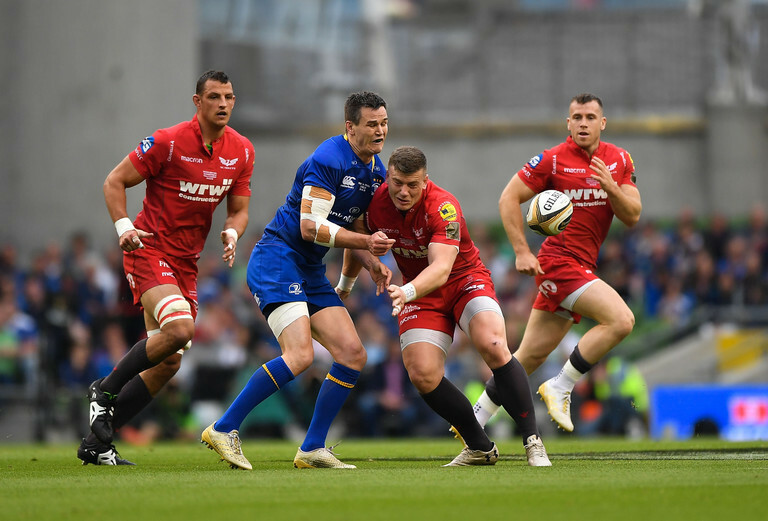 It has been a long and exhausting season for many of this Leinster team after a Six Nations, Champions Cup and now Pro14 triumph but Leavy showed little after effects. The former St. Michaels man was constantly willing to do what is necessary and finished with 9 carries, seven tackles, none missed. A frankly absurd 42 metres made by the dynamic number 8. Coming into real form ahead of the Australia tour as Conan reinforces an already stacked Irish back row. Strong support running got his reward for a deserved try. Rory O'Loughlin was introduced early on and carried well. Can't have been easy for Scarlets to look up and see Scott Fardy and Jack McGrath come on with over 20 minutes left. Sexton replaced by Joey Carbery shortly after. Jordi Murphy came on for his last appearance before his move to Ulster. Special footwork by Carbery to push Leinster 20 points clear. Leinster then wilted but that is to be expected after a long year.